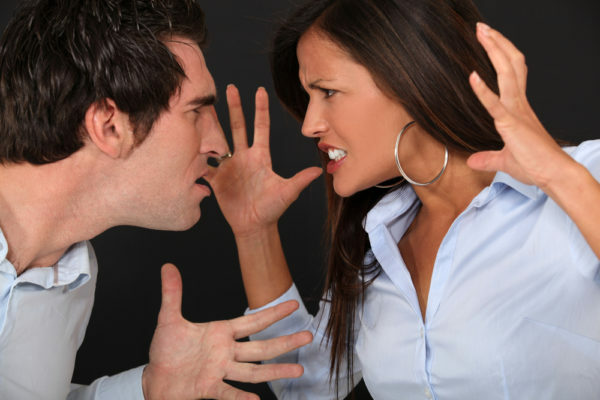 The following article, “Couples Counseling With High-Conflict People,” is adapted from a 2013 guest post I wrote for Randi Kreger’s Psychology Today “Stop Walking On Eggshells” blog. Mark was really getting worked up, as he launched into his usual complaining and blaming when he came home three hours late and Susan made the mistake of asking where he’d been. Funny how when he screwed up, he blamed her, Susan noted for what seemed like the millionth time. She remembered the maxim that you can’t reason with someone who is emotionally unstable and unwilling to take responsibility for their actions. Thankfully, Susan had learned several tools for handling people with personality disorders when their strong emotions overwhelm the logical centers of their brain. She knew it’s best to firmly bring the argument to a close by promising to take the topic up when “things calm down.” Her own therapist had taught her that this is a much better strategy because fighting back or pointing out the other person’s faults just triggers more rage and irrationally. She told him good night, and went in the bathroom to brush her teeth and get ready for bed. She felt proud of herself for remembering not to single him out in setting the limit that they would wait till they both calmed down. Susan reminded herself that his moods belong to him, and that she can remain calm and not take it personally as long as she separates herself from his rage and takes care of herself. A good book was waiting for her, and she read a chapter, congratulated herself for handling the situation well, and turned off the light and went to sleep. If the first part of the scenario sounds familiar, with all the blame and provocation, and the second part seems like an absolute fantasy of reasonableness and maturity, you can make this “fantasy” a reality. It is completely possible to have a good night, even when your BPD/NPD partner is on a tear. But it takes work with a therapist experienced in providing couples counseling with high-conflict people and/or individual therapy with a therapist who has treated many high-conflict couples to disengage from the all-too-familiar drama and manage your thoughts, feelings, and behavior when she or he is “stirring the pot” with the black-and-white complaints about you and what you always and never do. Remember: when your partner starts throwing around words like “always” and “never,” your partner has left the land of reason and it’s pointless to try to engage. Wait till reason has returned! No one always does something or never does something. That’s the exaggeration. The time to speak with your partner about therapy is not when your partner ranks a three or above on a 1-10 scale of emotional reactivity. When things are relatively calm, take a page from the playbook above and include yourself in the need for treatment just as you included yourself in the need to calm things down when he was uncontrollably emotional. Singling out his issues as being the therapy-worthy ones will not bring the two of you to a therapist’s office. While this may seem unfair, it’s much more effective in ultimately getting what you want. You might say something along the lines of, “I’d really like to see a therapist together to work on how we can enjoy each other more. I know I wind up nagging you, and that’s got to be annoying. I want to work on how we can deal with each other in more productive ways so we both have more of what we want in the relationship.” This is more engaging, honest, and non-threatening. You’re taking responsibility for your end of things, rather than focusing on his behavior or words (even though it seems your partner’s disorder is at the bottom of conflicts). If your partner agrees to start treatment, be sure to find a therapist who is experienced in doing couples counseling with high-conflict people. How to find out? Ask! And also look for a therapist who doesn’t have a stay-together agenda, so that if the most reasonable option is separation, that option will be entertained, not eliminated. And understand that your partner will relish talking about what you’ve just owned up to in your “ask,” in this case your annoying nagging. That’s okay, because it’s true that your nagging, like anyone else’s, is annoying; and it’s okay because you’re both finally in treatment. It’s more important to be effective than to be right. When you’ve made your decision about finding a therapist, commit to attending a few sessions with an open mind to give yourself, your partner, and the therapist a chance to see how you can work together. I like to start couples work with four initial sessions, as follows: 1) couple together; 2) one partner individually; 3) other partner individually; 4) couple together. This gives me a rough idea of the individual issues each partner brings to the relationship and a chance to see how the partners interact with each other as well as how each interacts with me separately. I don’t claim to change anything in four sessions; it’s just a chance for me to start to get to know the two of you so I can see what treatment plan I think will be helpful. This is how some therapists and I work with couples, but it’s by no means a universal method. Just be prepared for the therapist to schedule some individual sessions with each of you to get a sense of what you each bring to the relationship and to get beyond the blame game that the two of you may easily fall into. Don’t expect the situation to turn around quickly. The few sessions you’re starting with are to gauge whether you, your partner, and the therapist work well together, not to deliver you the relationship you always wanted with your partner consistently at his reasonable best. He has been this way a long time, and no therapist has a magic wand. It’s a slow process that can be likened to watching the grass grow. And you may be accustomed to a certain level of conflict in the relationship. It may be as hard for you to change as it is for your partner. Remember: you’ve been this way for a long time, too. Be prepared for your partner to try to use the sessions as a forum for blaming you, just as she does at home. A good therapist will stop this behavior, and will instead focus on getting couples out of the blame game and into taking responsibility for their own part of the problems in the relationship. If I see that the partners are so reactive with each other that they really can’t do couples counseling yet, I explain this and work with them only individually until they can learn how to handle themselves and be reasonable. I explain it as doing couples counseling individually. Don’t be discouraged by this. The two of you can begin to function better, even when only doing individual treatment, because your individual issues that cause problems in the relationship are being dealt with. An effective therapist will not let you fight in the session. Sometimes patients are upset by this because they are into the drama of it all and have been looking forward to having an audience for their fights. I tell such patients that it would be easier for me to let them fight in my office, but they’re already much too skilled at fighting and their relationship won’t improve by my allowing them to fight. This is the way Susan handled the situation with Mark in the beginning of this post. It can be hard to not engage, but this is part of the process of getting better. Because, once again, you can’t engage with someone who’s acting “crazy.” Your thinking is problematic if you think that this time will turn out differently than all of your previous attempts to reason with your unreasonable partner. This is part of the work of looking at yourself. They ask why I laugh, and I’ll say something like, “Well, it sounds like Sally is married to the Big Bad Wolf, and it sounds like Jim is married to Martha of ‘Who’s Afraid of Virginia Woolf’ and I’m guessing the truth is something else. One issue is that you see things so differently that I have no idea what I’m hearing, so why don’t you stop blaming each other and take responsibility for your own actions and reactions and let’s see where we get.” They may then soften in their polarized positions and be willing to see their own part in the problems, in which case we can do some good work. That’s my method for handling such contradictions, but other therapists will have their ways. If the therapist spends time trying to figure out who’s right and doesn’t address the fact that you and your partner have such different impressions of the same event, make a note of whether that’s how the situation is routinely handled or just a one-time thing. An experienced therapist will address the discrepancies as a dynamic between you, rather than waste time playing detective. You may be worried that your partner may “have an event” and turn on you and/or the therapist in the session. It’s certainly a possibility, but there’s no point in worrying. It’ll happen or it won’t, and your worrying will not prevent it from happening. If you feel comfortable with the therapist, but your partner storms out in true borderline fashion, do yourself a favor and continue the treatment on your own. You’ll get the help you need to deal with the situation and to decide what course of action you want to take. If you’d like to work on your relationship, with or without your partner, reach out to me here. I look forward to speaking with you. Copyright © 2015, Randi Kreger. This post (or any part of it) may not be reproduced without prior written permission.